Have you ever been to a stone yard? They're fascinating places! 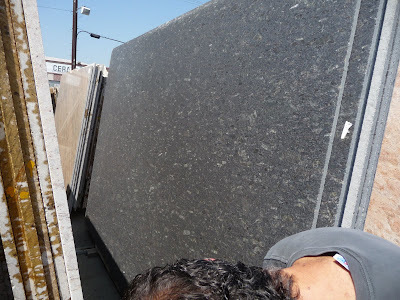 Rows upon rows of beautiful, polished slabs of granite and marble in the most fantastic patterns and colors. 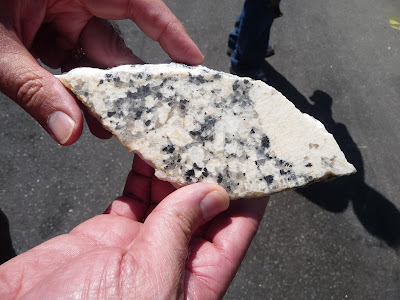 Recently my hubby and I visited a stone yard, looking for two different kinds of granite for our kitchen re-do. (One for the island, a second for the surrounding counters.) This will be a slow process, because we spend our money verrrrry reluctantly. But it WILL happen. I've been living with 1980s-era tile counters featuring impossible-to-keep clean grout for 16 years now. Enough is enough! 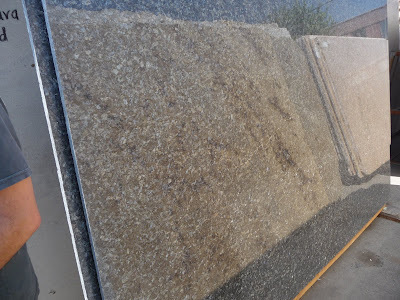 BTW, it astonishes me, but stone yards are very free with their samples. 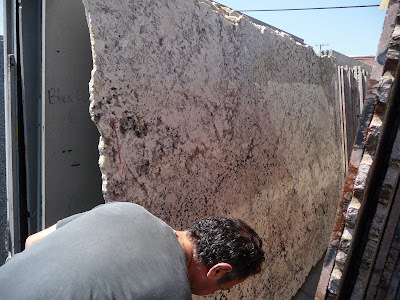 If you want to take a piece of stone home to see how it looks in your kitchen, the dude showing you around just whips out a hammer, whacks away at the corner of the slab, and hands you a piece. They do this almost without your asking! 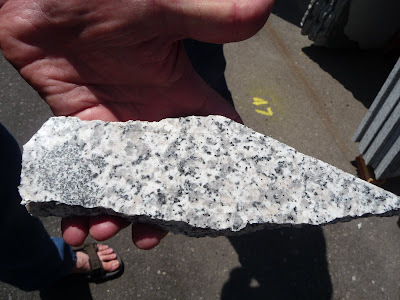 Turns out the average slab of granite or marble, once fashioned into a countertop or backsplash, generates lots of leftovers, so the sellers can afford to be generous with their samples to prospective buyers. And then I wanted to drop everything and take this beauty home. 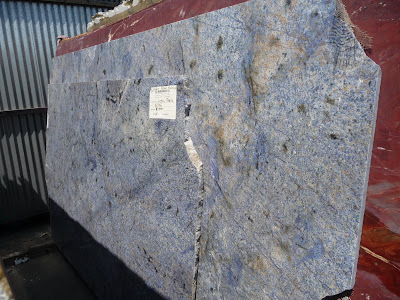 It's a flamboyant mixture of white, tan, charcoal gray, and the most over-the-top, in-your-face vivid cobalt blue. Wow! 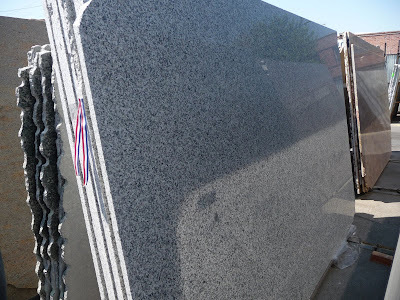 And it costs about nine times more than any other granite in the yard. Umm, never mind. What did we decide on for our humble kitchen? Top contenders are Blue Pearl for the island and Bianca Beta for the countertops. 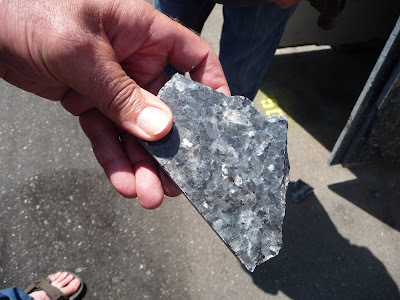 Next, we visit the tile yards. Please, let me not fall in love with Babs' tile, too! Hoo Hoo Ha Ha Ha! First day of canning complete!